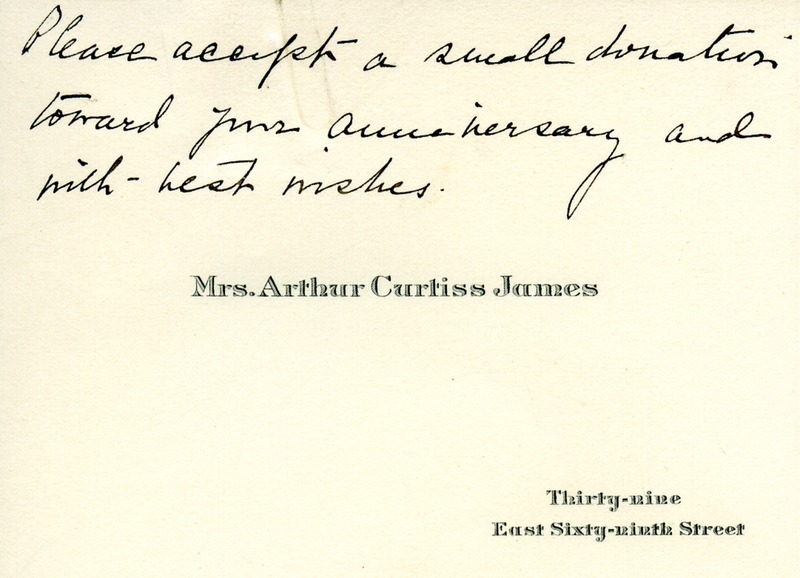 Card enclosed with a contribution from Mrs. Arthur Curtiss James. Mrs. Arthur Curtiss James, “Calling Card of Mrs. Arthur Curtiss James.” Martha Berry Digital Archive. Eds. Schlitz, Stephanie A., Sherre Harrington, et al. Mount Berry: Berry College, 2012. accessed April 24, 2019, https://mbda.berry.edu/items/show/4736.